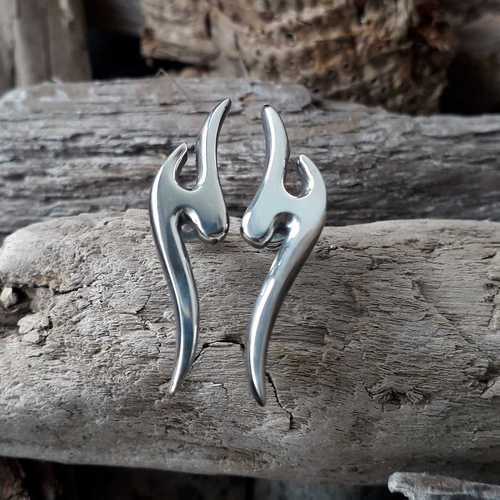 A luxurious lick of flame on your earlobes! 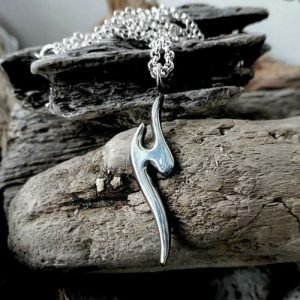 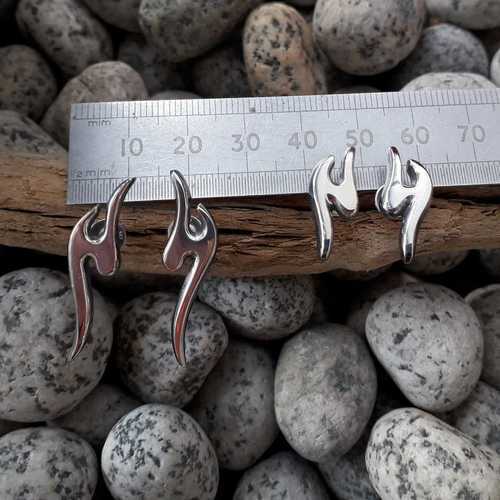 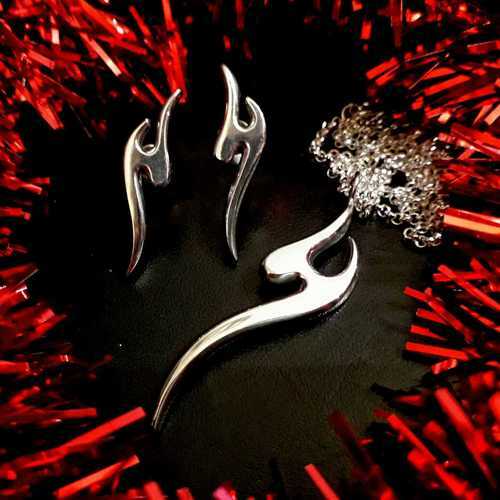 Sinuous handmade solid silver earstuds, mirroring fire and catching your surroundings’ glow. 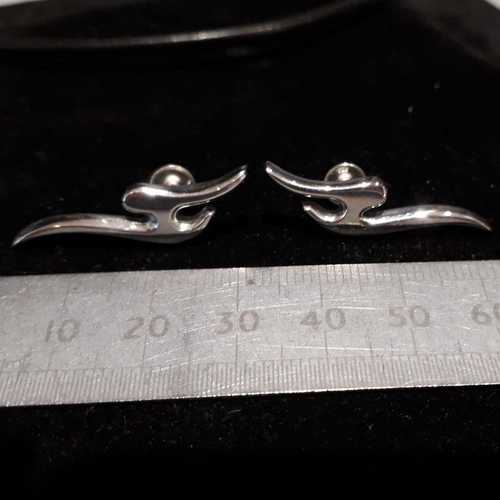 Each stud weighs a 2.5 grams so they won’t drag and each stud is 3.2 centimetres long. 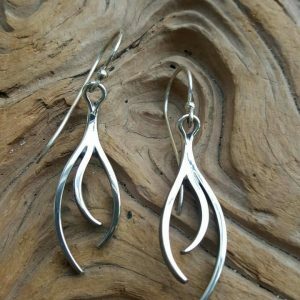 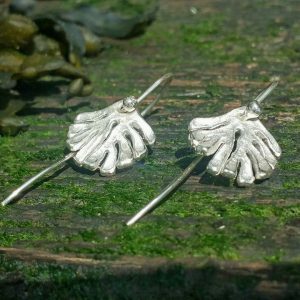 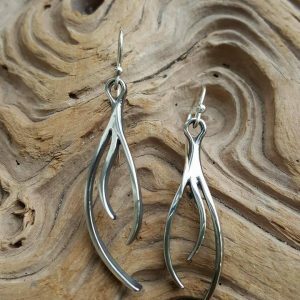 As with all Rob Morris’ earring designs, they’re super-comfortable for all-day or occasional wear.